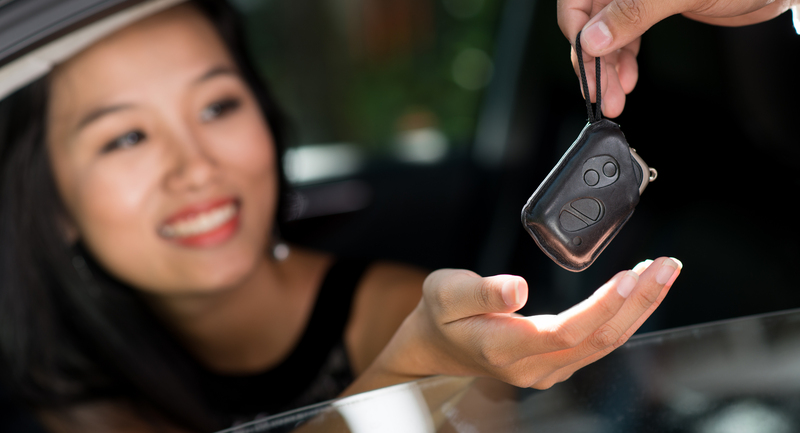 Purchasing a new or used vehicle can be an exciting experience. If you are purchasing a used vehicle, it is recommended that you order its vehicle history report. This report will help you know the vehicle’s background, especially to know whether the vehicle had been salvaged or not. If you are buying a vehicle from a licensed dealer, the process of vehicle registration and titling is very simple. The dealer will handle all the paperwork required for vehicle titling on your behalf. The dealer will be required to provide you with the title within 30 days from the purchase date. Once you receive the title from the dealer, you can then proceed to registering the vehicle in your name. If you purchase a vehicle from an individual, you will be responsible for handling paperwork for title transfer and registration. You should obtain a signed-off title from the seller. In a nutshell, the title should be signed by both the seller and buyer in the presence of a public notary. If the title is missing or damaged, ask the seller to obtain a duplicate copy from the DMV and give it to you. If the title has multiple owners on it, ask the seller to make sure all owners have signed it off before completing the purchase. However, a person can sign for another person. This can be done through a notarized Power of Attorney (Form BMV 3771). The seller is not required to produce vehicle registration papers during the time of sale. However, showing registration papers to you may help facilitate the sale. Title, signed over to you and notarized. Form BMV 3774 (Application for Certificate of Title to a Vehicle). Bill of sale from seller. You will also need to complete the odometer statement on the back of the title. If you are using a gold-colored title, you may download Form BMV 3724 (Odometer Disclosure Statement) online. You will also need to pay sales tax to the County Clerk of Courts title office in cash, by check or money order. If you fail to apply for a new title within 30 days from the purchase date, you will face a $5 penalty fee. If you get a loan using your vehicle as collateral, or making payments on your vehicle, make sure you are issued with the Memorandum Certificate of Title. This will help you obtain license plates until your regular title is processed. Once the loan has been paid off, you will be issued with the regular title from the dealer. Out-of-state Motor Vehicle Inspection form. You will also need to take the vehicle for inspection. The inspection will verify the vehicle’s description and vehicle identification number (VIN). You can take your vehicle for inspection at any deputy registrar’s branch. They charge $3.50 inspection fee. If you are selling your vehicle, do not fill out various sections on the back of the title. Wait until the sale is finalized. If you make a mistake and the sale bounces, the title will become void and you will need to apply for a duplicate one. You are not required to give the buyer registration papers at the time of sale. However, registration papers may help facilitate the sale. For instance, the buyer will be able to verify the emission inspection certificate or the legitimacy of tags. You must also list the odometer reading and sale price on the back of the title. If the space in the back of the title is not enough to include all these information, you will need to fill out the bill of sale. This form should be filled by both the seller and buyer, and it should be signed in the presence of a public notary. Make sure you have remained with the copy of the title and bill of sale for your records.